Every automation assignment is unique. From a simple manual workstation to a fully automatic assembly line. Working closely with our clients, helps to develop systematic solutions of workflows. This begins with product development, where you are advised how costs can be lowered by automation compatible design. Based on the first technical analysis, we are able to develop an assembly or processing solution that corresponds to your qualitative and quantitative goals. Important guideline for the development of customized automation solutions is the direct contact with our client and comprehension of all production-specific client requirements. We design safe investment systems that can respond to future changes convertible. Variety, part complexity, product volume, cycle time and product life essentially determine the design of an automation system. We know “automatically installation” does not mean automation at any cost. In close consultation with the clients, we work out a coordinated schedule for the project plan. We support our clients through all phases of the project implementation. With an integrated 3D design knowledge, our experienced team covers in the shortest time all aspects of automation systems. With such experience solid constructions are implemented rapidly. In the final step our experts ensure that the manufactured products are installed, assembled and mounted correctly. Thus, a high quality and flexibility is secured. 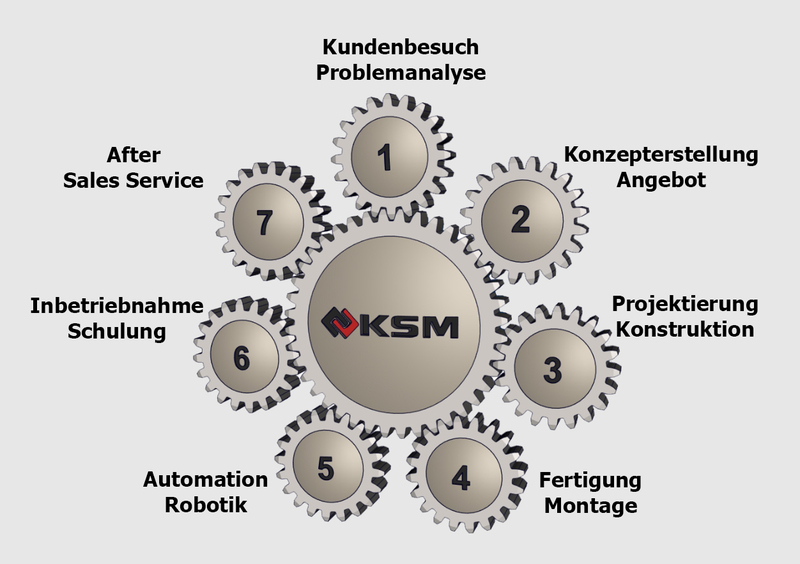 We design and implement automation software for different hardware platforms (according to client requirements) and present also our clients the complete performance range of multifunctional control technology to motion control applications and robotics. Here we realize controls of S7, TIA, Allen Bradley, TwinCat sowie CoDeSys. All functional controls and simulation tests of the system are carried out at our home. So we present a perfect functionality from the first minute of operation. Your employees will be trained during the Installation directly on the system. It is not enough to build to a good machine. It is equally important to have a fast and competent service team where our clients need us.